The FBI says this man robbed a Germantown bank at gunpoint in December. 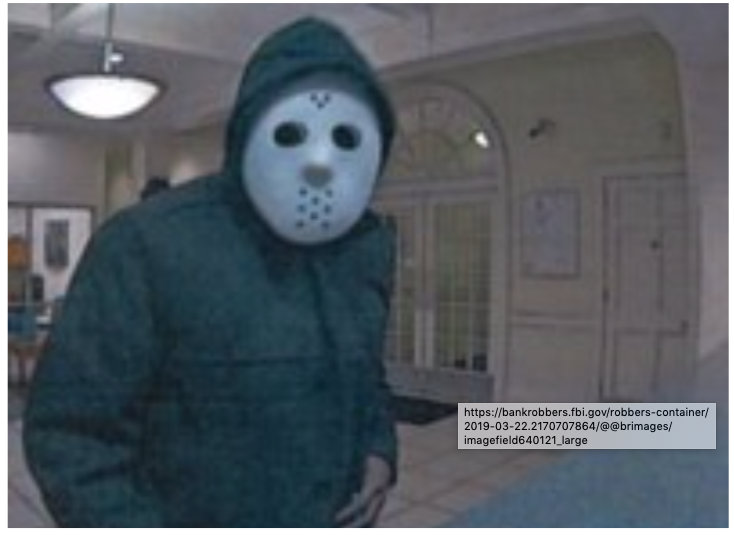 The Federal Bureau of Investigation (FBI) is seeking the public's help to identify a man in a hockey mask who robbed a bank at gunpoint in December. The FBI issued the call for assistance Monday. The agency said the man robbed a SunTrust bank branch at 7770 Poplar in Germantown on Dec. 7th, 2018. "The unknown male robbed the bank at gunpoint, placed the money in a red bag, and fled the scene on foot," reads a statement from the FBI. "The subject is described as a male, black, approximately 5'10" - 6'0" tall. 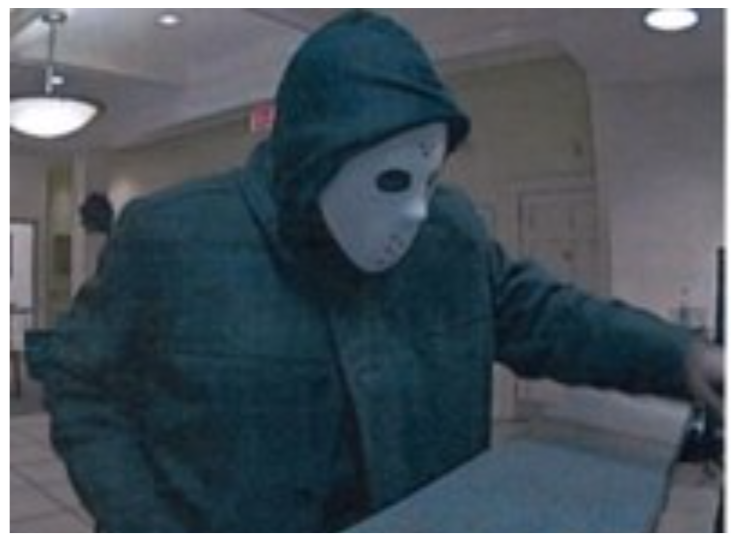 The suspect was last seen wearing all black clothing, a white hockey mask, work-type gloves, and dark shoes." The FBI said the subject is armed and dangerous. Anyone with information is asked to contact the FBI Memphis Field Office at (901) 747-4300 or Crime Stoppers Germantown at (901) 757-CASH (2274). Tips can also be submitted online at tips.fbi.gov. Find more information about the robbery here. The FBI is still looking for another subject who robbed a bank here in 2015. 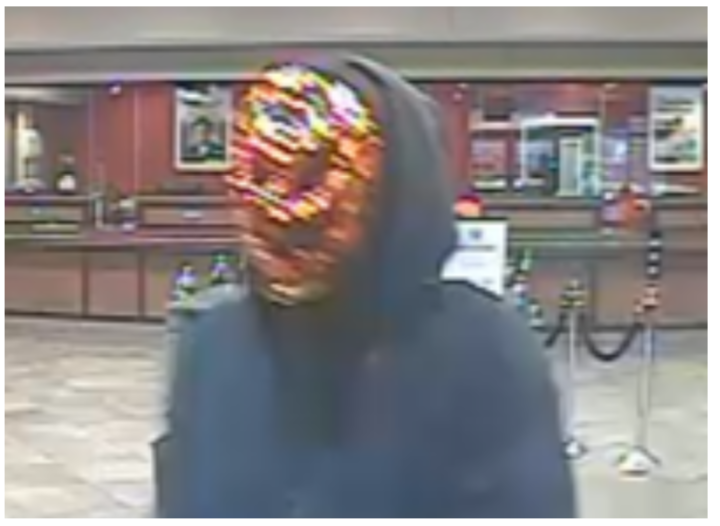 That man, dubbed the "Devil Mask Robber" wore a "red devil mask" when he attempted to rob the First South Financial Credit Union at 7166 Winchester. the agency believes that robbery attempt was related to previous robberies at the same bank in 2014 and another time earlier in 2015. "The subject is described as a male, black, approximately 5'10" to 6' tall. 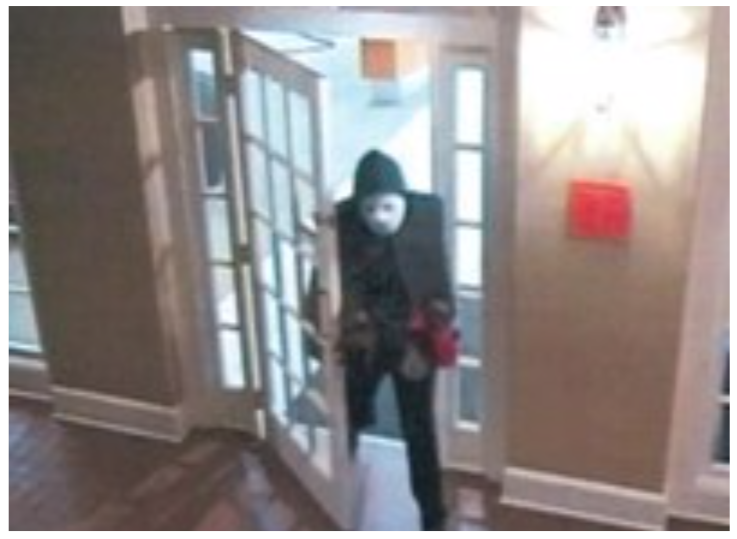 The suspect was last seen wearing a red devil mask, a dark blue hooded sweatshirt, blue jeans, work-type gloves, and white tennis shoes," reads a statement from the FBI.